Contracts for Differences (CFDs) are cash-settled OTC derivative contracts which consist of agreements between a given trader and the broker which give the right to the trader to receive the difference between the current value of a given asset and its value in the future. CFDs mainly allow traders to take a position and speculate on a given asset, either short or long, without actually owning it. 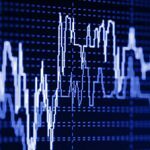 As CFDs are traded on margin and are highly speculative – usually traded with large amounts of leverage – they are considered high-risk instruments. They are suitable for short-term trading strategies and convenient for hedge funds and professional traders. CFDs underlying assets are usually forex, shares, commodities, indexes, and now, also cryptocurrencies. At Flag Theory, we’ve recently seen an increase in the popularity of Cryptocurrency CFDs and are assisting several existing Exchanges and also new projects to set up their CFD Brokerage division. In many jurisdictions, popular cryptocurrencies are not regulated and are not defined as securities, currencies, property or commodities. At the time of writing, issuing and offering Crypto CFDs may not be susceptible to regulations in jurisdictions where the definition of a derivative contract is narrow, and refers to, for instance, derivative contracts where the underlying asset is equity, bonds, indexes or fiat currency pairs. As the underlying crypto may not be categorized as security or currency or commodity or property in these jurisdictions, Crypto CFD brokers may not be subject to licensing requirements. For instance, in Singapore, Crypto CFDs might not fall under the definition of a Capital Market product. Most regulators have not issued guidelines on this matter yet. However, because of the nature of a Crypto CFD, we can expect that many jurisdictions will increasingly consider a derivative contract that bets on the price fluctuation of a given cryptocurrency to be subject to regulations and deemed a financial instrument. For instance, in the European Union, the definition of derivatives contract under the Markets in Financial Instruments Directive II (MiFID II) is broad and may include anything that the market perceives as a derivative contract. Based on that, the European financial markets regulator, the European Securities and Markets Authority (ESMA) published guidelines stating that cryptocurrency-based CFDs are financial instruments, and, consequently, the issuance of CFDs is a regulated activity in the European Economic Area (EEA). In today’s article, we will review some of the legal aspects to consider when setting up a regulated Crypto CFD Brokerage. This article does not intend to be a comprehensive analysis and it does NOT constitute legal or tax advice of any kind. As we previously commented, Crypto CFDs are regulated derivative contracts and are considered financial instruments in the EU under MiFID II. Consequently, any EU company conducting brokerage activities with Crypto CFDs, or marketing Crypto CFDs in the EU, is conducting a regulated activity, and therefore must be authorized by the local regulator to deal, issue and make a market in derivatives and comply with all applicable regulatory requirements. Generally, regulated CFDs broker-dealers are licensed to ‘deal in investments as principal’ as opposed to ‘deal in investments as agent’. This means they are authorized to act as market makers and are allowed to be the trading counterparty against their clients, with the trading risk that this entails and the potential conflict of interest that could arise – when the client loses, the broker wins, and vice versa. Therefore, companies dealing as principal are subject to the most onerous and strict licensing and ongoing requirements. CFDs are in nature over-the-counter (OTC) instruments and are not available in regulated Exchange Markets meaning that there is no market for a broker (agent) to source the derivative contract for the client. However, many firms authorized to ‘deal in investments as principal’ seek to be restricted as ‘matched-principal’. Matched-principal brokers, commonly known as Straight-Through Processing (STP) brokers, are the counterparty on a client trade but they hedge the trade with an equivalent transaction with a liquidity provider, therefore eliminating the broker’s risk on the trade. Companies with the matched-principal restriction face more lenient requirements than market makers. Considering that there are no regulated crypto exchange markets – a Crypto CFD Brokerage will need to be authorized and licensed as dealing in investments as principal. Issuing and offering high-risk instruments is a comprehensively regulated activity. Licensing and ongoing requirements dealing with capital requirements, leverage restrictions, retail clients’ restrictions, reporting, internal processes requirements, client onboarding and trade execution requirements, advertisement and marketing restrictions, and economic substance requirements, among others, vary largely across jurisdictions. Even in the European Economic Area – EEA members have transposed into local law the Markets in Financial Instruments Directive II (MiFID II) and the Markets in Financial Instruments Regulations (MiFIR), however, some have placed requirements that far exceed MiFID’s such as Germany’s BaFin, and others, such as the CySEC have taken a more flexible approach. Note that a CFD Brokerage licensed in any EEA country has passporting rights across the whole EEA – which makes obtaining a European license highly attractive. Cyprus and the UK have been the EEA jurisdictions which have attracted more CFD broker-dealers during the last decade than others. Cyprus has some of the lowest tax regimes in the EU (12.5% corporate tax), a regulatory-friendly approach, quick licensing turnaround time, and low operating costs compared to some of its European neighbors. For its part, the UK has combined a considerably straightforward licensing process with a higher degree of reputation and reliability than other EU jurisdictions – London is the largest financial center worldwide and licensing requirements are stricter than in countries such as Cyprus, especially those related to the background and experience of executives and officers of the applicant. This allows licensed firms to build confidence and credibility and attract professional and institutional clients. However, right now, there is certain uncertainty on the outcome of the Brexit and whether British regulated firms will lose their passporting rights thus making this licensing option unattractive. Bulgaria and Malta are other popular jurisdictions for CFD Brokers. Another popular CFD market for CFD Brokerage businesses is Australia. 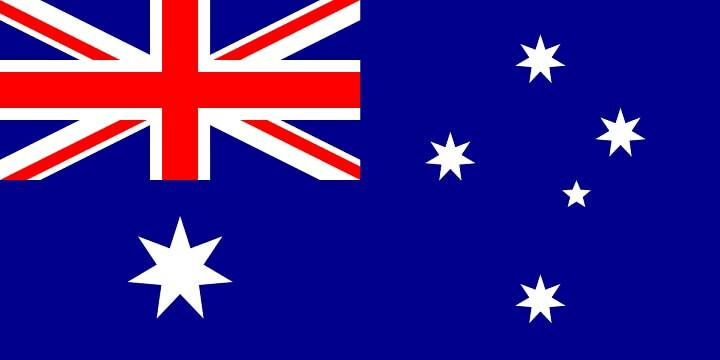 Companies looking at creating Crypto CFD markets and marketing CFD instruments to Australian residents need to obtain an Australian Financial Services License (AFS) issued by the Australian Securities and Investments Commission (ASIC). Another option for those looking at setting up a Crypto CFD Brokerage is going offshore. Traditional offshore financial centers are arguably less demanding in terms of licensing, ongoing requirements and monitoring and place less operational and market restrictions, although these also largely vary across jurisdictions. In addition, offshore jurisdictions are attractive for some due to their tax-neutral status. The Cayman Islands, and, especially, the British Virgin Islands are relatively popular for offshore CFD brokerages, particularly for companies targeting Asian markets. In the BVI, conducting a Crypto CFD business might be categorized as an investment business under the Securities and Investment Business Act (SIBA), and, therefore, it would require an Investment Business License as dealing in investments issued by the BVI Financial Services Commission (FSC), and, potentially, depending on the specific Crypto CFD business model, an investment business license as operating an investment exchange. Similarly, in the Cayman Islands, a Crypto CFD may be considered a security and fall under the Securities Investment Business Law (SIBL). A Crypto CFD Brokerage may be required to be licensed as Dealing in Securities by the Cayman Monetary Authority (CIMA). Overall, the Cayman Islands and BVI have the two strictest licensing processes and ongoing reporting requirements across offshore jurisdictions. Other jurisdictions with more lenient licensing requirements include Labuan, Belize, and Vanuatu, among others, although, increasing economic substance, reporting and audit requirements have been put in place due to international pressure. Then, there are jurisdictions where conducting an offshore CFD Brokerage business may not fall under regulation, such as Saint Vincent and The Grenadines, Cook Islands, Nevis, Marshall Islands or Seychelles, among others. 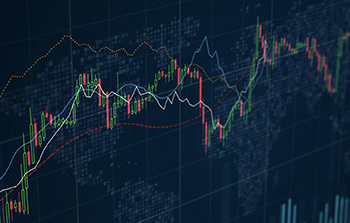 For instance, a Crypto CFD Brokerage incorporated as a Seychelles International Business Company (IBC) that does not provide services to residents of Seychelles or opens a place of business in Seychelles or otherwise becomes a resident company in the Seychelles might not be subject to the Securities Act and be exempt from licensing as a Securities Broker-Dealer. However, note that the company may be subject to regulations in the country where it is effectively operated from. A number of Seychelles-incorporated Brokers elect to be registered as resident companies and pursue the license in order to build confidence and reliability amongst their target audience. Incorporating a non-regulated CFD Broker may, apparently, provide certain benefits to company promoters such as low setup costs, quick time-to-market and nil reporting requirements, as well as no restriction on leverage limits and financial products offered. However, there are a number of drawbacks that would need to be considered. First of all, limited financial services accessibility i.e. bank account options and credit card processing are increasingly more limited for these companies. Then, the fact that there is an absence of regulation, no company management checks, no company operations overseeing, no protection against fraud, no account security standards, no data protection, no capital requirements, no requirements on safeguarding client funds, and so forth, means that clients have little to no protection – which could have certain negative reputational impact at the time of acquiring both retail and sophisticated and high-value clients. Furthermore, a conservative approach is recommended when marketing and advertising non-regulated brokerage services across regulated jurisdictions as well as onboarding clients from certain jurisdictions, as this could represent a breach of local law and lead to fines or termination of activities. A significant number of licensed CFD Brokerages elect to set up subsidiaries in regulated and/or non-regulated offshore jurisdictions to be able to avoid certain restrictions in services offered to their clients such as those placed on leverage. Terms and conditions, user agreements and other legal documentation, as well as marketing documentation should clearly state which entity the client is transacting with – the client must be aware at all times which entity is providing brokerage services to him. Licensing and ongoing capital requirement for regulated broker-dealers vary across jurisdictions. Generally, regulators will require licensed companies to be adequately capitalized on an ongoing basis according to the services offered and the size of their business, among other variables. Company capital does not include clients funds held. In the European Economic Area, licensed businesses dealing in investments are subject to a minimum capital requirement of EUR 730,000 for companies dealing on their own accounts (dealing in investments as principal), and EUR 125,000 for brokers with a matched-principal restriction. However, in certain EEA jurisdictions, there may be additional licensing and ongoing capital requirements. For instance, the UK FCA may require market makers to hold the sum of the credit risk of capital requirement (8% of the total of a firm’s risk-weighted exposure amount), the market risk capital requirement (concentration risk + counterparty risk) and the amount of expenditure which a given firm is expected to incur over the next quarter. In Australia, ASIC requires financial services licensees that issue OTC derivatives to maintain the greater of AUD 1 mil or 10% of average revenue – which must be kept in cash or cash equivalents. In the BVI and Cayman, capital adequacy requirements are set on a case-by-case basis. For a company dealing in investments as a principal, usually, an initial capital of between USD 1 mil will suffice. For its part, in Belize, the minimum capital requirement is set at USD 500,000. Lower-tier jurisdictions such as Vanuatu and Seychelles (onshore regulated), require considerably lower capital adequacy requirements. In Vanuatu a Financial Dealer Class B Principal’s Licence authorized to deal in derivatives and futures contracts may be required to place a security bond of just VT 5,000,000 (USD 50,000). In Seychelles, also USD 50,000 capital would suffice to obtain a Securities Dealer license. Most licensed investment firms are also required to have professional indemnity insurance or some other comparable guarantee against liability arising from professional negligence. Some jurisdictions have established specific minimum coverage, whereas others are set on a case-by-case basis. Leverage limits and other restrictions vary across jurisdictions, and CFDs underlying asset classes. Last year the European Securities and Markets Authority (ESMA) issued certain measures placing restrictions on the marketing, distribution and sale of CFDs from EEA-regulated entities to retail investors. Leverage limits on the opening of a position by a retail client vary from 30:1 to 2:1, which depend on the volatility of the underlying asset. For instance, leverage when opening a Crypto CFD position by a retail client is limited to 2:1. Other assets enjoy higher limits, such as major currency pairs (30:1), non-major currency pairs, gold and major indices (20:1), commodities other than gold and non-major equity indices (10:1), and individual equities and other reference values (5:1). Furthermore, EEA broker-dealers must implement a margin closeout rule with 50% minimum required margin as well as negative balance protection on a per account basis – to decrease the probability of clients losing more than their collateral as well as limiting client losses. ESMA placed other restrictions such as limiting incentives to clients for trading CFDs as well as including risk warnings on the percentage of losses of a given CFD provider clients. To avoid those leverage restrictions, EEA residents should apply for Elective Professional Status with their respective broker. The Elective Professional Status is granted after an assessment of the trading expertise, experience and knowledge of the client, as well as fulfilling certain conditions such as having made trades of significant size or having a financial instruments portfolio of at least EUR 500,000 or having worked in the financial sector. Furthermore, EEA Broker-dealers are required to assess the appropriateness of certain products for certain retail clients. They must understand the ability and financial experience of a given client to understand the risks involved, usually via a test to qualify clients’ eligibility to open an account. For its part, in Australia, there are no regulatory limits on leverage for retail clients. However, there are certain risk disclosures and client assessments requirements, and the ASIC has product intervention powers and may limit the distribution of certain products or the leverage offered in certain products to retail clients if it identifies significant risks. BVI, Cayman, Belize and other regulated offshore jurisdictions do not generally impose trading restrictions or significant client qualification requirements on the provision of CFD trade to retail clients. Investment businesses are usually subject to economic substance requirements in the jurisdiction in which they are incorporated, especially in onshore jurisdictions, which are quite strict on that matter, as we will see below. The persons who effectively direct the business, senior management of the company, and compliance and risk officers, and the company’s office must be located in the jurisdiction where the company is seeking a license from. For instance, in Cyprus, three of the required four directors may need to be residents in Cyprus and the company must maintain staff, premises, equipment, internal controls and compliance functions in Cyprus. You can expect the regulator to request proof of these such as officers’ evidence of home addresses or rental agreements of the company’s offices. The regulator will also assess experience and reputation from C-level officers and persons holding relevant positions in the company and will assess how likely it is that they will maintain their role once the license has been issued. Ideally, mind and management and persons performing key roles should have enough experience in the financial services industry and must pass fit and proper tests. Key personnel must be approved by the regulator, their experience and qualifications are, perhaps, the most relevant factors for a successful application. Not only management roles will be scrutinized. Sales, technical, compliance and accounting staff should also be qualified and have the appropriate experience to perform their roles. In addition to reviewing staff CVs, the regulator may assess training plans and perform due diligence on the qualifications of the staff. Some regulators such as the UK FCA or Australian ASIC are particularly demanding on that matter, whereas regulators in Cyprus or Bulgaria might be more lenient. The regulator will also assess whether the company has adequate human resources, premises, operational resources, and compliance resources to mitigate any potential risks and that it has the policies and procedures in place to monitor and manage these risks. The company must identify if there is a so-called ‘key person risk’ – a person that is in charge of several key roles or functions – and provide a proper plan on how to minimize and manage these risks. The company may be continuously monitored and supervised to make sure that mind and management and physical presence requirements are maintained over time. If it is proved that senior management, compliance or risk officers are not resident in the country, and it is considered that the company is not operating from within the jurisdiction, it might be enough reason for the regulator to cancel the license. With regard to offshore jurisdictions, they are increasingly establishing physical presence and economic substance requirements. For instance, in Belize, International Financial Services licensed companies are required to be physically present in Belize, have local directors in Belize and be tax resident in Belize. In Vanuatu, recent legislative amendments have set an obligation for directors to normally reside in Vanuatu for 6 months per year, and have at least 5 years’ experience dealing in securities, in addition to having physical premises in the country. Seychelles FSA-regulated securities dealers need also to have an operating presence in Seychelles and fulfill economic substance requirements. Cayman and BVI investment businesses need also to have physical presence in the country and meet certain mind and management and economic substance requirements. CFD brokerage houses are subject to different requirements and rules on how to deal with clients funds depending on the jurisdiction in which they are regulated. Most onshore jurisdictions put in place measures to protect clients from company insolvency, and make sure that in that case, funds would be returned to clients instead of being treated as recoverable assets by company creditors. Some countries require that clients money is held in trust accounts and segregated from the company’s operational capital, whereas many regulated offshore jurisdictions do not have relevant provisions on that matter. There may also be rules related to the use of these funds. For instance, in Australia, a brokerage house may be able to use client money for hedging trades with other brokers, whereas this practice is explicitly prohibited by the UK FCA. The FCA requires companies to segregate client money from the company’s own money. Client funds must be directly deposited in the client trust account and the company is restricted to deposit any own money into these accounts. UK brokerage houses must periodically audit their trust accounts to ensure that they accurately reflect client assets. Similarly, in Cyprus, licensed investment firms must place client funds in clearly separated accounts, they are explicitly prohibited to use client funds for their own account and must report these accounts periodically to the CySEC. Furthermore, certain regulators require licensed firms to deposit certain amounts into an investor compensation scheme to compensate investment claims against companies declared in default. For instance, the UK Financial Services Compensation Scheme (FSCS) guarantees a maximum level of compensation of GBP 50,000 per retail client, per brokerage firm. In the EU, investment firms are required to deposit 5% of their share capital into a compensation fund, which guarantees EUR 20,000 per client. There may be also rules related to the processing of client money withdrawals. For instance, EEA Brokerage houses may be required to process a given client’s request to withdraw funds on the same day, or the next working day (if received outside of normal trading hours). Exceptions are made in cases related to anti-money laundering controls or to honoring trading benefits. As we’ve commented previously, a Crypto CFD brokerage house will likely be regulated as ‘dealing in investments as principal’. They would deal on our account and be market makers – and the counterparty on their clients’ trades. This means that if the client incurs a loss, the company makes a profit. This may incentivize the firm to act to the detriment of its clients as there may be a commercial benefit in doing so. If the company is offering high leverage, potential profits and losses at stake increase, being highly prone to conflicts of interests. Therefore, a given regulator would assess if the company has adequate policies and procedures to ensure it acts in the best interests of its clients and how potential conflicts of interest will be prevented, identified, managed and mitigated. The regulator will assess the conflicts of interest risk level considering whether the company manages its market risk exposure via hedging all clients orders, or partially via a hybrid model (risk tolerance threshold, or only a subset of clients), or not hedging client orders at all. The regulator may also look at whether the company is hedging clients trades via an affiliated entity or an independent liquidity provider. In the case of matched-principal brokers, whether they are remunerated based on the profit and losses of the platform. For a pure Crypto CFD brokerage house dealing on own account, with only this source of revenue, addressing the potential conflict of interests are of significant importance to seek the approval from the regulator. As the economic outcome from the firm might be considered highly correlated to the losses suffered by the clients. Note that in most jurisdictions there is the legal imperative to always act honestly, fairly and professionally and execute orders in the best interest of the client. Companies must establish, implement and disclose to the client an order execution policy and must disclose potential latency between quoted price and execute price and factors and potential risks that impact them as well as disclose spreads and so forth. A company dealing on own account may be required to clearly disclose to the clients that it is the counterparty on their trades and disclose the potential conflicts of interest to the client. Requirements on these matters vary across jurisdictions. Furthermore, there are also other potential conflicts of interests to consider and address such as in the case in which a given Crypto CFD price is determined with or without reference to a specific market or whether the contractual terms require the client to acknowledge that the prices used may differ from those of the specific market. Therefore, the regulator would look at the company pricing methodology and whether it is transparent and based on a relevant market to ensure that orders are executed in the best interest of the client and in a transparent way. Other potential conflicts of interests are those arising from staff remuneration policies. For instance, on whether sales staff are remunerated based on the volume or value of clients transactions. CFD Brokerage houses are subject to KYC/AML & CTF regulations of the jurisdiction where they are incorporated. The regulator will assess whether the company has implemented adequate policies, internal controls, and procedures in order to mitigate and manage the risks related to money laundering and terrorist financing. Regulated companies are required to conduct customer due diligence (CDD) procedures. They must obtain, verify, and record information that identifies each client that is opening an account, whether a natural or juristic person, identify the directors and beneficial owners of corporate accounts, as well as verify the source of wealth and funds. There could be a certain transaction amount threshold that may trigger additional verification requirements, which may vary across jurisdictions. Client data must be screened over relevant Watch Lists, Sanction Lists and Politically-Exposed-Persons (PEP) lists, as well as perform enhanced due diligence for high-risk clients and PEPs. Risk assessments are usually based on factors such as those related to clients countries with high ML/TF risks, transaction amounts, the source of funds, obscure structures, unusual/suspicious investor behavior, among others. Brokers must have in place systems for monitoring client activities to identify and prevent any suspicious transactions and report such suspicious activity to the relevant regulatory authority if appropriate. Brokerage houses may also restrict clients from funding their accounts from third parties in order to lower AML/CTF risks. They must also appoint experienced and qualified compliance officers, anti-money laundering officers and money laundering reporting officers, which are usually required to be based in the jurisdiction where the company is licensed. As Crypto CFD Brokerage is an online business model, the regulator will look at whether the company has sound security and data protection systems and has properly addressed IT security risks. Usually, a license applicant may be required to provide disaster recovery and business continuity plans to preserve essential data and functions in case of a system interruption. The regulatory will assess whether the company has taken steps to minimize the operational risk when outsourcing certain central management activities, key functions, and key infrastructure and that this does not negatively affect the quality of the company internal controls. Typically, outsourced activities include compliance, customer support and/or the provision of the trading platform. A Crypto CFD Brokerage house is marketing a high-risk speculative product, and, therefore, marketing and communications should clearly state this to satisfy regulators. Communications must be fair and not biased and inform about all the risks associated with trading with these financial instruments. Aggressive and misleading communications could alert the regulator, which may lead to fines and, potentially, a withdrawal of the license. Furthermore, if the company is targeting non-resident clients a conservative approach must be taken on the marketing and promotional efforts. Generally speaking, financial products can only be marketed to resident individuals by licensed entities authorized to do so within the jurisdiction. When it comes to groups seeking a financial services license for their subsidiaries it is usually recommended to have straightforward ownership structures and avoid certain legal ownership arrangements such as nominees. For instance, an EEA state member regulator may heavily scrutinize companies having a complex ownership structure using trusts and foundations, or offshore ownership structures in jurisdictions which have not concluded information-sharing agreements and are considered uncooperative jurisdictions for tax purposes. Consequently, when it comes to structuring your group, it is of significant importance to consider and implement a group structure that the regulators will approve. The regulatory status of cryptocurrencies is still uncertain in many jurisdictions. Some jurisdictions have classified them as a commodity, property, security or just as a digital representation of value, among others – which definition may also vary depending on the specific crypto asset. Other jurisdictions have not yet published regulations and/or guidelines on that matter. Due to the above, a Crypto CFD might fall under a gray area in some countries. Derivatives contracts are considered financial instruments in most jurisdictions, however, some of them have a narrow definition, e.g. derivative contracts with underlying assets such as equity, bonds, leveraged foreign exchange, property, etc. Other jurisdictions have a much broader definition of what could be a derivative contract, as in the EEA, where supranational and national regulators have publicly stated that Crypto CFDs are financial instruments and are regulated products and have even issued specific restrictions to brokerage houses offering them. Generally, the conservative approach is to consider a Crypto CFD a financial instrument as it is a contract that bets on price fluctuation(s) of an asset. We expect that in these jurisdictions where there is certain uncertainty on the matter that regulators will finally take this approach. As we’ve seen, onshore jurisdictions such as the UK or Australia have strict and comprehensive licensing and ongoing requirements for companies dealing in investments, mainly placed with the intention to protect retail clients. Offshore jurisdictions usually have a more laissez-faire approach, although requirements vary largely depending on the country. If you are planning to set up a Crypto CFD brokerage house and are looking for more regulatory certainty, look for regulating your activity in a jurisdiction where the regulatory conditions are favorable. In addition to the regulatory certainty benefit, you will add credibility and reputation to your business which could bring commercial benefits. You will also have access to more and better financial services options such as banking and credit card processing services. Your clients will be more protected and you will set up the foundation for the long-term growth of your business. If you do not have the resources or capital to launch a regulated brokerage and wish the quickest time-to-market option you could look at unregulated jurisdictions. However, you must adhere to the best practices, always put the client first, and prepare your business to meet requirements to apply for a license. There is a clear trend of increasing and more rigorous regulatory supervision. It is always a good approach to consult the regulatory authority for guidance if you are planning to operate in an unregulated manner in a jurisdiction where the brokerage of derivatives contracts is regulated. Some might consider operating from several jurisdictions and obtaining the appropriate regulatory approvals which might provide certain benefits such as those related to product offering, lenient limitations, and marketing possibilities. There are always ways to structure a business in order to meet client goals. At Flag Theory, we can help you select the most suitable structure and jurisdiction to set up your Crypto CFD brokerage business. We will help you explore, compare and understand regulatory requirements across different jurisdictions and determine and implement the most suitable structure according to your unique requirements and priorities. We will empower you to make the right informed decisions to be able to launch and seamlessly operate your business. Contact us today, it will be a pleasure to help you.